The Pickledish Patch: I have been given an award!! I have been given an award!! 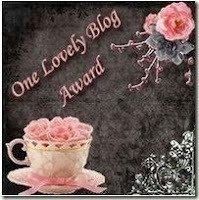 The lovely Anna from Anna Rosa Designs has given me an award for my blog. Congrats on the award, you deserve it. I love your blog and your generosity with your patterns. Have a wonderful weekend. Vicki you are such a sweetheart! And you deserve this award as you are always inspiring others, and as Vera says, so generous with your designs. You're a special lady!